Pic above is Lindbergh bay in front of Island Beachcomber. 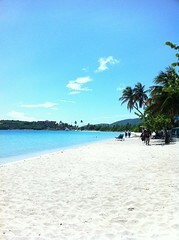 Our only beach day on STT with our friends. PS Sorry about the late post, Blogger has been having issues and has been down .